A popular modification to the venerable Piper Tri-Pacer was to convert it back to conventional gear configuration using one of several STCs developed throughout the years. This modification, typically accomplished during a re-fabric or re-build/restoration (but capable of being done with fabric in place), included removal of the nose gear, adding forward mounting lugs for the Pacer style main gear, adding a tail wheel mounting bracket and toe brakes. A tail wheel assembly and Pacer style main gear rounded out the basic modification. 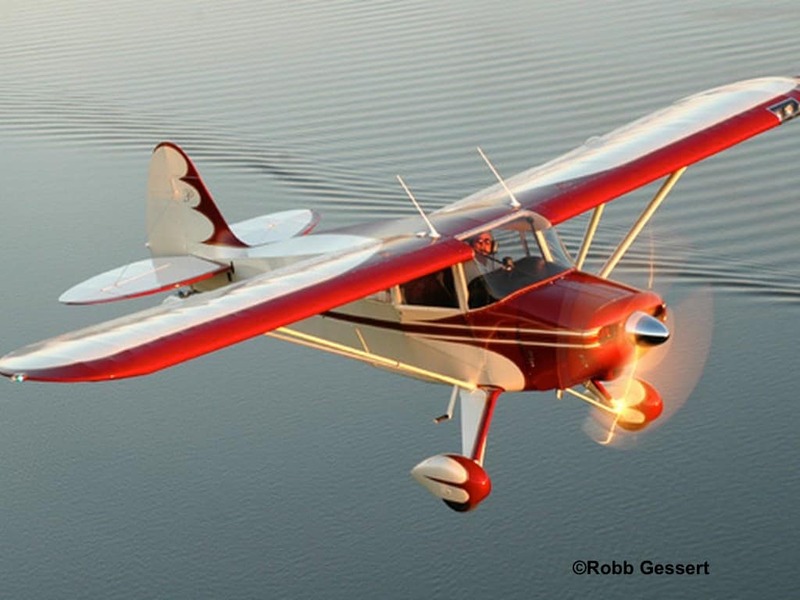 The attraction of this modification is mostly personal taste, modest performance improvements were demonstrated, improved off-field performance of the conventional gear and the “cool factor” of owning and operating a great Tail Wheel aircraft. When combined with other popular STC’ed mods like big tires, “VGs”, larger engines and props, etc., these converted “Pacers” are real off-field, back country performers. 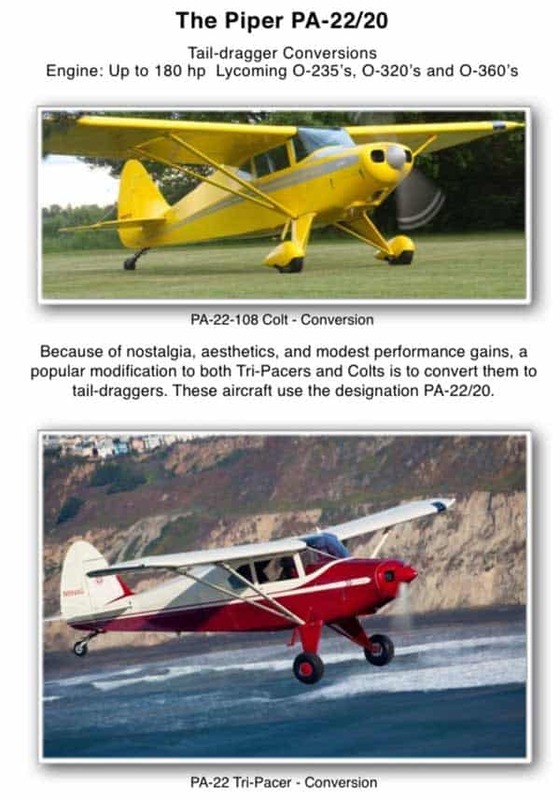 This PA22/20 description and chart were provided by John Kobbeman – Thank you, John!